November is adoption/foster care awareness month. We often have the privilege of coaching parents who have built their families through adoption. 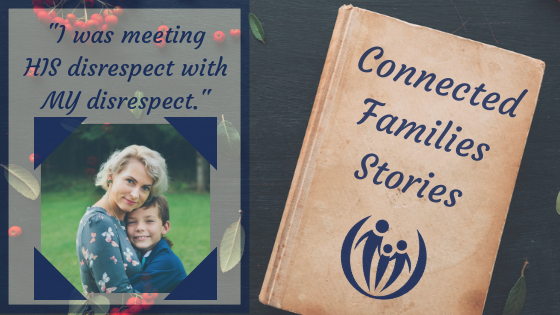 Even though adoption can add intensity and complexity, the challenges adoptive families face are ones we can all relate to as parents. This story comes from one of these families. I was reacting to my son’s defiance and direct insults with intense anger, meeting his disrespect with my disrespect. One of the first things I realized when we started coaching was: it’s not helpful to show him who’s in charge by trying to control him into obedience. I am in charge. I don’t have to prove it by being the loudest, biggest, scariest thing in the room. 2) I can’t change his heart. But I can make it safer for that to happen by surrendering myself to God and asking Him to change my heart. A friend gave me a great word picture for when my son is in attack mode of imagining Jesus next to me taking my son’s words like physical blows instead of me taking them. That powerful picture has been where I go to calm down before I respond to him. But I’m not perfect at this and sometimes, when the heat is on I forget who takes my blows for me, and I struggle to maintain my composure. In the middle of yelling or saying something awful (or even if I’m calmly trying to manipulate him into right behavior) I realize my heart is not in the right place. In that moment I repent and tell my son what my sin is and that I don’t want to treat him like that. I’m also careful to not say, “But if you would just …”. 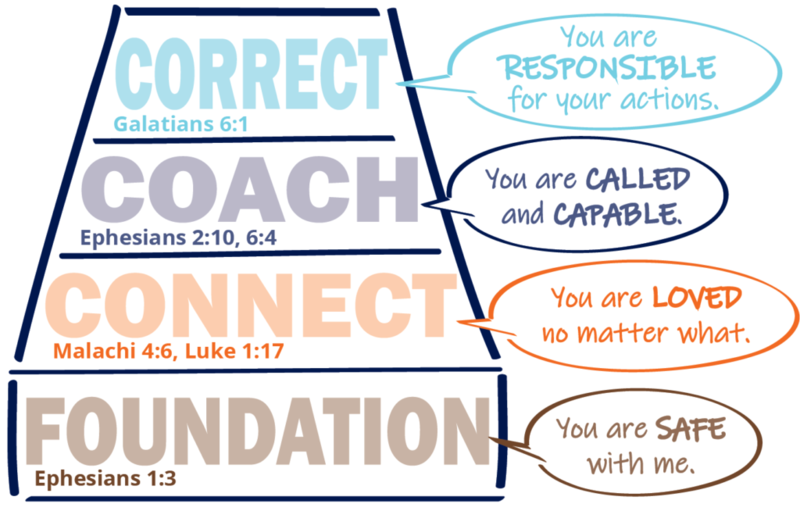 I simply take responsibility for my behavior, because the only person the Bible commands me to control is myself. I am to demonstrate love (which is patient and kind) to everyone else. To live at peace with all others, as far as it depends on me (Romans 12:18). And the most amazing thing happens, pretty much every time. My son’s face relaxes. His tone softens. He apologizes. His heart changes and he moves toward me with love instead of with anger. And even when I still say “no” and follow through on a consequence, the goal of connecting with his heart has been achieved. I let love rule my responses instead of fear, anxiety, and anger. I have demonstrated safety. Both our hearts are changing. Not perfect, but being perfected. In love. The realization that each person is responsible for their own heart change. A parent must learn to be trustworthy in order to gain trust. 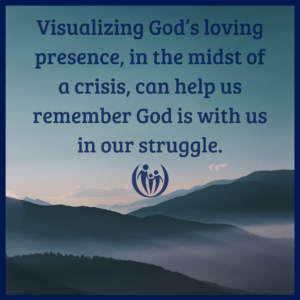 Visualizing God’s loving presence in the midst of a crisis helps us realize God is with us in our struggle. Parents need to seek the humility to repent and ask forgiveness when they have tried to manipulate or force their children into right behavior. God has so much grace for us as parents and often uses our kids to change us into the likeness of Jesus. It can be long and difficult and painful work. Focusing on changing ourselves and modeling calm and safety is the first step to helping our kids get to the real, underlying issues of their own hearts. Consider Matt and Kim’s story as you seek to reach the heart of your struggling child. God has so much mercy for you both! * To protect the privacy of this family, pseudonyms and stock photo have been used.